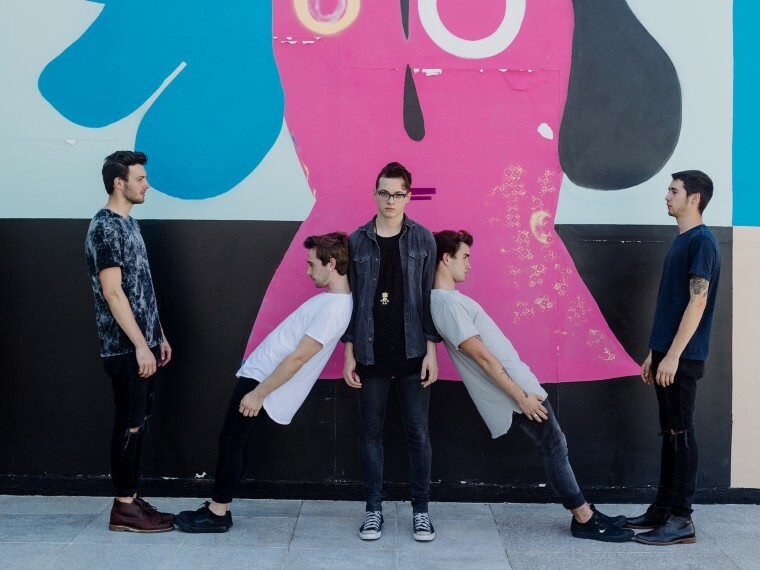 Los Angeles-based indie rock band The Wrecks root from Thousand Oaks, CA. Their single "Favorite Liar" has had extensive play on SiriusXM Alt Nation, was top 40 on alternative radio, and has over 8 million Spotify streams. Not bad for a debut 3 song EP that was recorded for free while a friend was house sitting for a musician with a home studio. He still has no idea The Wrecks recorded there. They have supported Nothing But Thieves and All Time Low/SWMRS/Night Riots on tour. The group has an average age of 21 and consists of Nick Anderson (vocals/guitar), Nick Schmidt (guitar), Westen Weiss (guitar), Aaron Kelley (bass), and Billy Nally (drums). Heavily influenced by groups such as The Pixies, The Strokes, Weezer, and Vampire Weekend, this five-piece isn’t afraid to blend undeniably catchy choruses with lyrics and vocals that have an underlying substance and a certain quirk that give them their young, signature sound.